Biking. Hiking. Fishing. Camping. That’s what Tucker’s childhood consisted of, and it changed his life. He encourages educators to include natural resources education during school to help students become more involved in conservation efforts. Until Julia read these articles in SouthCarolinaWild.org, her only frame of reference for fishing was going out on her grandfather’s boat to fish off the coast. Through this summary, she spotlights stories on recreational fishing, a fisheries biologist, and how a college student bass fishing angler turned pro.  SCDNR fisheries intern Zach Crum explains how he helped conduct research in S.C. rivers and lakes that would assist the state’s fish stocking program. Anastasia Patterson founded a bass fishing team at Presbyterian College. Now she’s hitting the professional fishing trail with Fishing League Worldwide! As an undergraduate research student, Amber Zonca fell in love with genetics and wearing a lab coat. As an SCDNR Freshwater Fisheries research intern, surveying the waterways of the state, her true passion for working outdoors as a biologist began to materialize. Meet the 2018 S.C. Department of Natural Resources freshwater fisheries interns! The interns will play a role in managing our state’s fishery resources. South Carolina Wildlife intern Grant McClure discusses his affinity for South Carolina’s often maligned trash fish including the longnose gar, oyster toadfish and southern stingray in this four-part anecdotal essay with illustrations by artist Duane Raver.